This statistic depicts civil recoveries paid regarding fraud and abuse/neglect cases under Medicaid from FY 2012 to FY 2017. 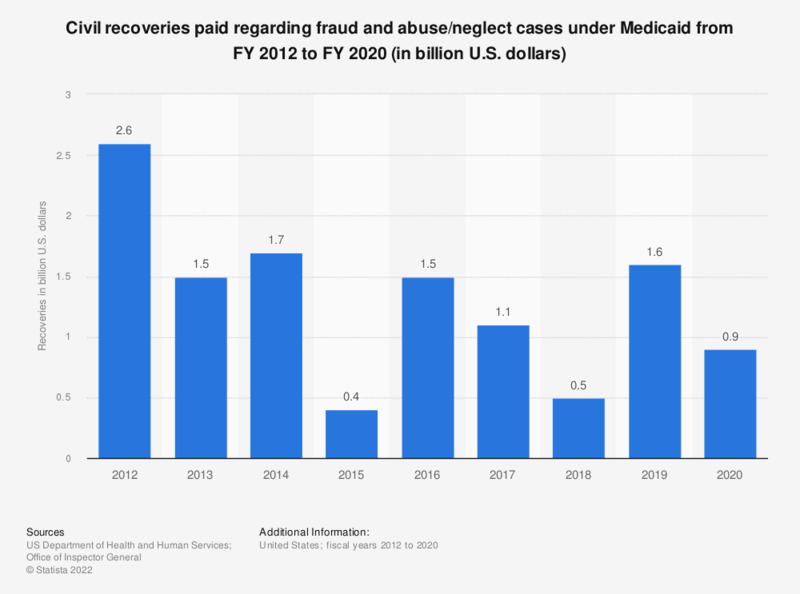 During FY 2016, civil recoveries from settlements and judgments regarding Medicare fraud, abuse, and neglect cases amounted to over 1.5 billion U.S. dollars. * Exact figure calculated from the statistical chart.